After reading an article on Financial Times Deutschland which confirmed that a tidy desk looks professional, I thought it would be nice to translate the key facts and to share these with you. The author Sabine Meinert reports about a study conducted by the temporary employment agency OfficeTeam. To develop this study, OfficeTeam surveyed 500 HR manager. OfficeTeam found out that a cluttered desk looks as if the owner is not able to organize his or her desk and this might lead to the association that the person in general is careless, unstructured, and chaotic. 83 percent of all asked managers rated the employee to be less professional in case of a cluttered desk. In addition to this, not only the desk itself is of interest. The whole office will be scanned and evaluated by superiors. Crowded shelves, high piles of paper, or overflowing trash cans will not support career advancement. But Sven Hennige, Managing Director at OfficeTeam, warns that a tidy desk itself will not boost a career. In addition to this, high quality and performance is still necessary. 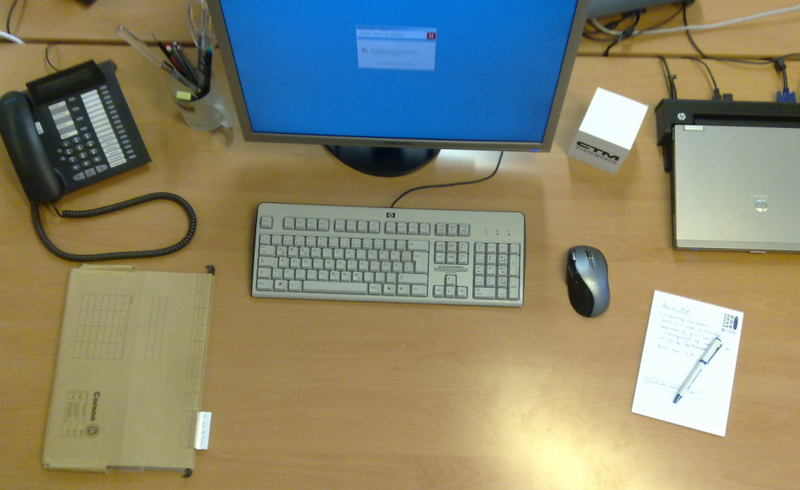 If you are interested in how I uncluttered my desk, please read this post.